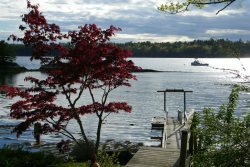 Welcome to Mid Coast Maine & The Boothbay Region! Thank you for your interest in renting from Cottage Connection! We are very proud of our great selection of Ocean, River, and Lake Properties where property owners work with us as partners to offer you a great Maine experience. We know you will agree that our area is one of the most beautiful places on planet Earth. Whether you are coming for a romantic getaway, family reunion or to visit friends and family, we are passionate about helping you find your “Special Maine Place”. Our staff understands that your time here is precious and that you want your stay to be relaxing and hassle-free. Whether you want a catered lobster dinner (New England Clambake), to go kayaking or sailing, a day trip to Monhegan Island, or look in Maine's unique and high-quality shops, you have our pledge to do everything possible to make that "cottage connection" to create that memorable Maine vacation. We strive to provide Comfort (in our homes), Quality (services and communication), Knowledge (of our area and homes), and Respect (for everyone). Since 1993, Cottage Connection of Maine, Inc. has been the first vacation rental company to provide Full Service to its owners and guests and a leader in setting the bar for vacation rental companies around the State. We love well-trained dogs and pets and we want them to come too. We prepared this website to represent this beautiful part of the world and give you the opportunity to make your dream of that special Maine vacation come true. So please come visit us! The lobsters are cooking, the fish are jumping, cool breezes are blowing and Cottage Connection has hand-picked a great selection of vacation homes in Mid Coast Maine! We strive to provide our guests with great memories, our owners with excellence and peace of mind, our team members with camaraderie, and do it all with integrity and great fun!